One of Calgary's resident extreme explorers faces weeks of more trekking across the windy, snowy Antarctica landscape — and spending Christmas alone. Laval St. Germain, who is a pilot by trade, will spend at least another month on the brutal Antarctica landscape. 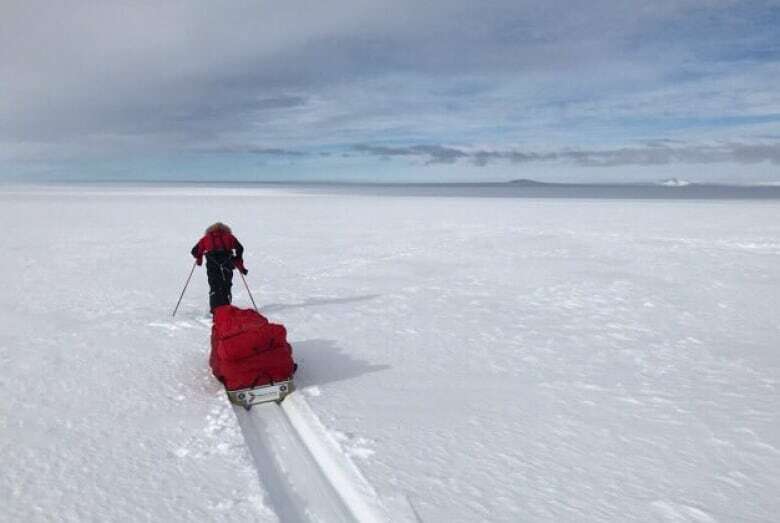 For 10 days now, he's pulled a sled with 110 kilograms of gear across 200 kilometres of his planned 1,300-kilometre journey to the South Pole. He's trying to raise money for cancer research with his extreme adventure — and the sacrifice of missing Christmas with his family in Calgary. St. Germain said he's regretting not downloading his favourite classic Christmas tale, The Shepherd, by Frederick Forsyth. A reading of the story, which is about a pilot trying to get home for the holidays, has played on CBC's As It Happens nearly every year since 1979, and he's listened since he was a boy. "It would make my complete trip to be able to listen to The Shepherd on Christmas Eve when I'm out here by myself," St. Germain told the Calgary Eyeopener by satellite phone. 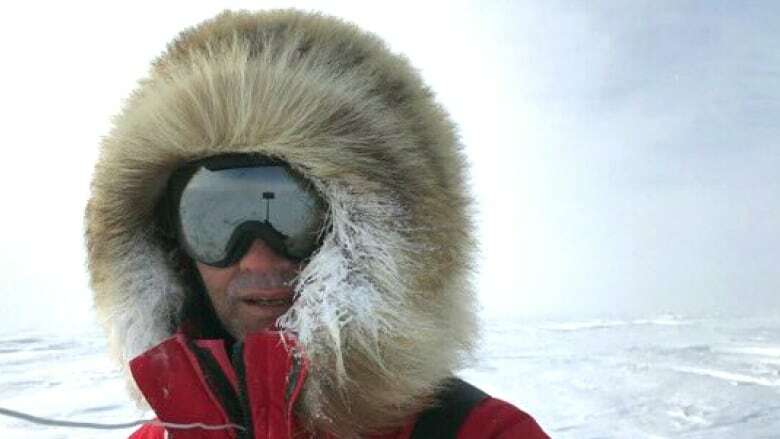 Once St. Germain reaches his destination, he then plans to climb the continent's tallest peak, Mount Vinson, which stands 4,892 metres (16,050 feet). "It's still early and only a quarter of the way into it, so it's a grind, for sure," St. Germain said. "You take it — it sounds cliche but literally is — one step at a time." St. Germain has lived a life of adventure. He's climbed Mount Everest without oxygen support. He's paddled the Atlantic Ocean, in part as a tribute to his late son. This latest journey is to raise money for the Alberta Cancer Foundation in honour of his loved ones who've had the illness. 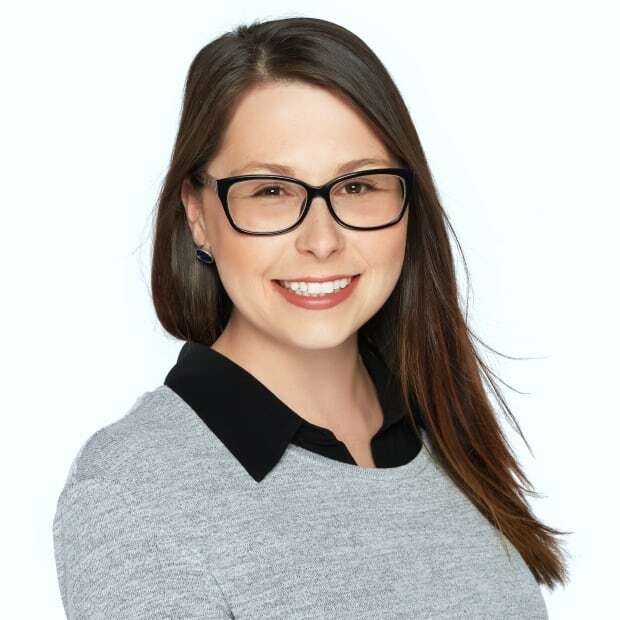 "I want everybody to realize that, you know, that in the 10 days that I've been out here ... 530 Albertans have been given a cancer diagnosis, and that's what this is about," the explorer said. The journey is as hard as he expected, he said, but he's encountered an unusual environment. Antarctica is the coldest, driest place on the planet, but since he's been there, it's been relatively warm. Temperatures have ranged from –8 to –15 C, St. Germain said. Even though it's nearly summer there, usually –28 C is considered a balmy day for the area. He's also seen an unusual amount of snow in recent days, about 30 centimetres — so much, he made it only 13 kilometres one day this week, despite walking nine hours. "Days like today and yesterday, you can't see a thing," St. Germain said. "You can see down to your compass and your ski tips and that's it. It's just like being in a cold glass of milk." He's been careful to not lose his gear, which can be difficult in the intense wind. 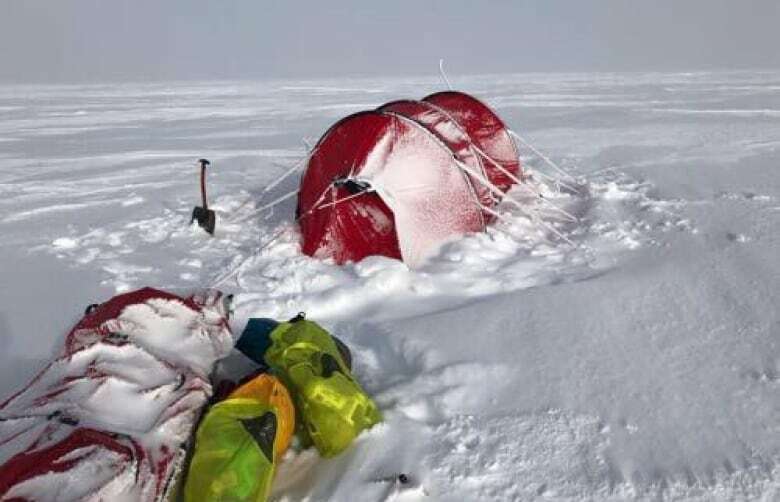 His tent blew six feet in the air once before he could get it secured, and he gave himself a scare when he thought he'd lost a mitten. He has spare clothing, but only one tent and sleeping bag. He's also carrying weeks worth of food in his sled, including litres of olive oil for energy and protein. "You can go from, you know, absolute agony, purgatory through the snow, and all of a sudden, you get onto a patch of hard snow and it's just like winning the lottery," he said. If St. Germain is able to finish this journey, he'll complete the so-called explorer's grand slam. That means reaching all seven of the highest mountain peaks on each continent and doing full-length expeditions to both the North and South Poles.